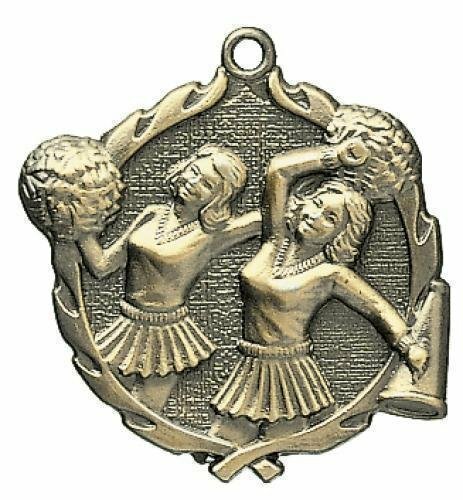 These female body builder medals have a decorative wreath that goes around the entire medal. 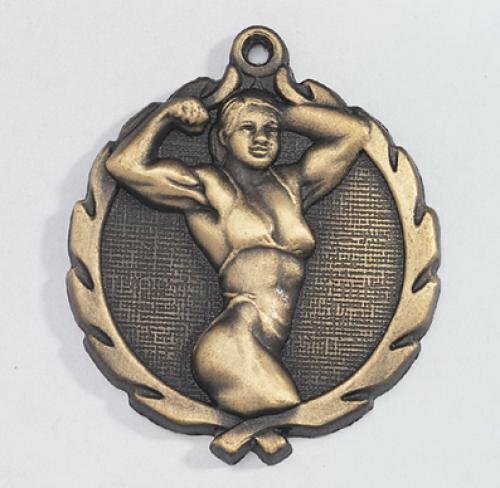 It also boasts a highly detailed relief of a female body builder in traditional contest pose. 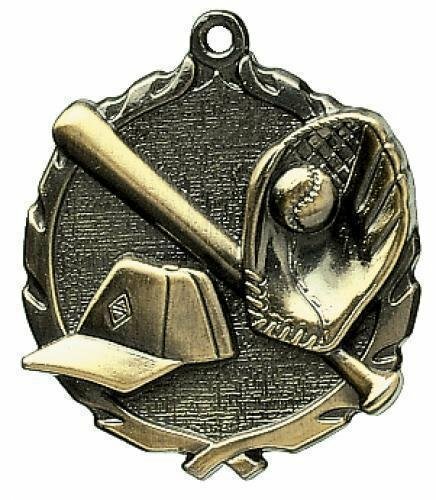 These medals come in 1 3/4" in diameter with a gold, silver, or bronze finish and have plenty of engraving room on the back. 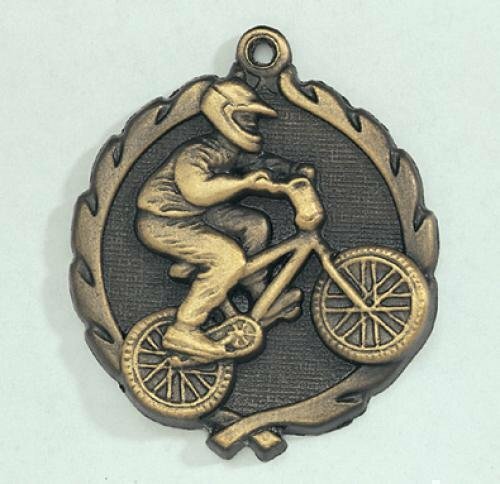 Just choose a ribbon that meets your needs to complete these awards. 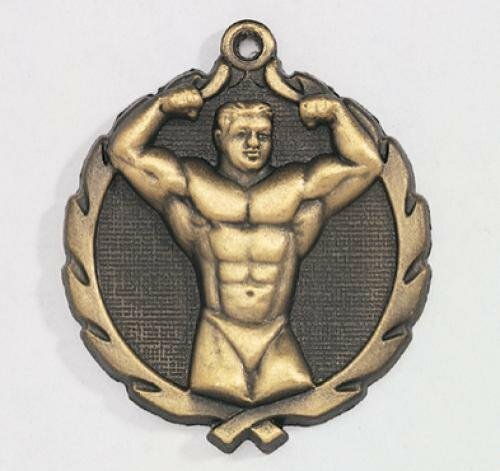 These male body builder medals have a decorative wreath that goes around the entire medal. 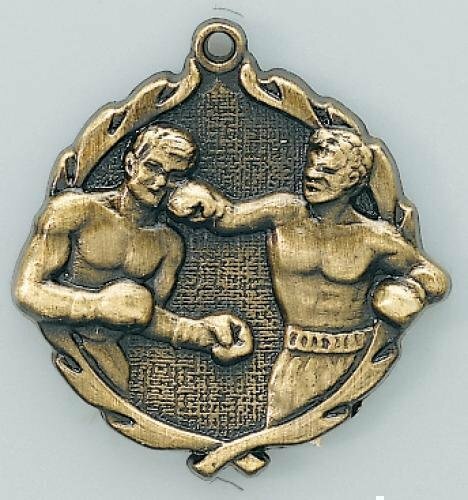 It also boasts a highly detailed relief of a male body builder in traditional contest pose. 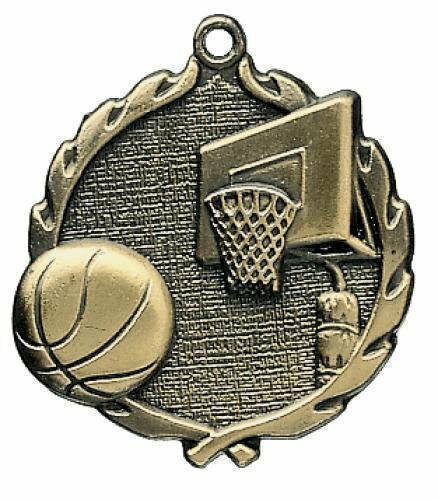 These medals come in 1 3/4" in diameter with a gold, silver, or bronze finish and have plenty of engraving room on the back. 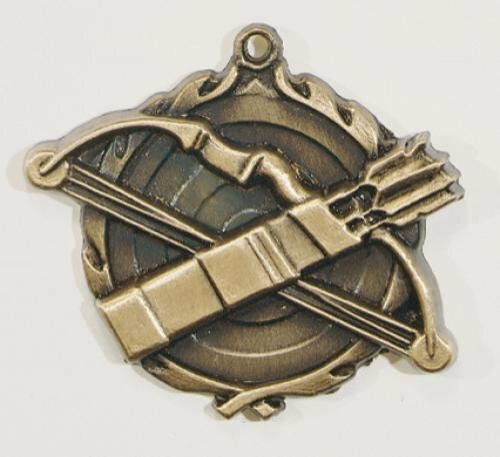 Just choose a ribbon that meets your needs to complete these awards.